A geocolor image of Hurricane Irma approaching Anguilla at 7:15 a.m. ET on Sept. 6. America seems to be a magnet for devastating hurricanes these days. This year, Harvey came out strong with its horrific toll on parts of Texas and Louisiana. Now Irma, downgraded slightly Friday morning to a Category 4 storm from its most recent days as a Category 5, has left destruction in its wake as it plows through the Caribbean and Cuba — and is on path to hit Florida Sunday morning. It's too early to know if this will be a particularly bad year, as the average number of major hurricanes in the U.S. per decade is roughly six. But averages, important as they are, mean little to those who have to brace for impact. We know how damaging such natural phenomenon can be — and how costly, at many levels, from emotional loss to rebuilding costs in the billions of dollars. The devastation is not surprising, once you know how much energy is involved. Consider this: In one day, an average hurricane releases as much energy as half a million atomic bombs, a force to be reckoned with. When the sun heats an ocean to more than 82 degrees, moist hot air rises up meeting cooler air — creating thunderstorms. Upper-level winds and surface winds come together, forming a circular pattern called a tropical depression. (Why circular? See below.) Then, when the winds reach 74 miles per hour, a hurricane forms, sometimes as wide as 500 miles in diameter, nearly the size of Texas, reaching heights of nine miles. 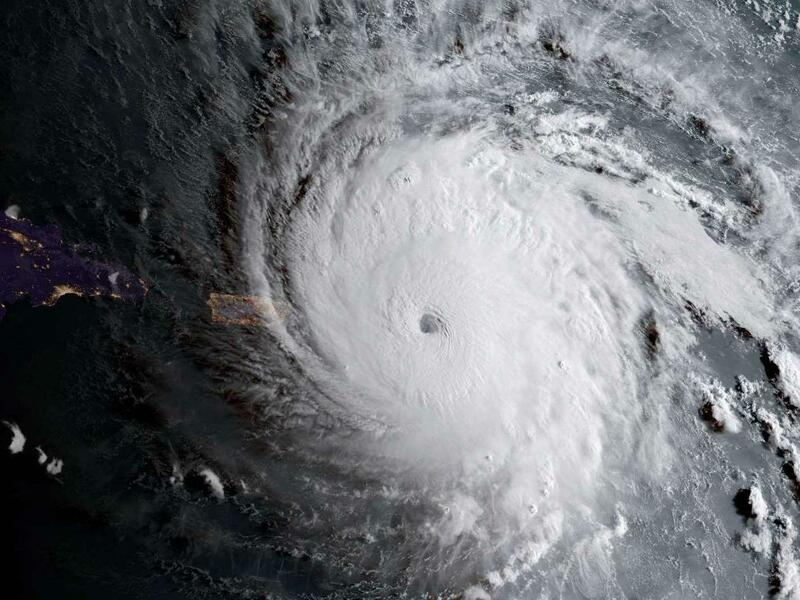 This short National Geographic info-video is a good introduction to hurricanes. Remarkably, hurricanes spin counter-clockwise in the Northern Hemisphere and clockwise in the Southern hemisphere. This differential spinning is due to Earth's rotation. If the Earth didn't rotate, winds of up to 300 miles per hour would howl from the poles to the Equator and back. But Earth's spin, and because the equatorial regions spin a bit faster than the regions at higher and lower latitudes, affects the air currents due to what is known as the Coriolis effect. In the first half of the 19th century, French engineer and mathematician Gustave Gaspard Coriolis proposed it as an explanation as to how the motion of objects is affected when they are on a rotating basis or reference frame (like the spinning Earth or a merry-go-round). Think of the Earth as a big ball rotating from West to East. (So, if you are looking at it from the top, it will rotate counter-clockwise.) Air currents near the equator get pushed a bit faster than those closer to the poles, with those above the Equator getting pushed to the right and those below it to the left. It is this pushing that causes hurricanes in the North to rotate counter-clockwise and those in the South, clockwise. This also explains why hurricanes don't cross the equator, as the Coriolis effect there is too weak to get the air spinning fast enough. In any case, let's hope that Irma misses the American mainland — or, at least, that it downgrades even more if it does so.